Rapid Development and Life-cycle Optimization Blue Shark Solution delivers professional full-cycle software development services from business analysis to solution implementation and support. Use of comprehensive web development tools and agile development methodology helps speed up development and shorten time-to-market cycles. Proper architecture and modular approach ensures easy application maintainability and seamless integration of new functionality or 3d party components. Blue Shark Solution specialists use different AJAX frameworks that let us focus on applications unique aspects by streamlining routing tasks. This helps in increasing developers productivity and accelerates development cycles. Blue Shark Solution provides PHP web development, Website design Services, Drupal development, Hire web developer, iPhone applications, Facebook apps, Social media websites, Zend PHP framework, Cake PHP development, PHP programming. 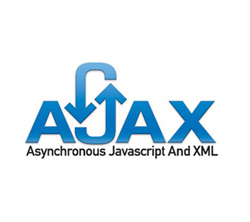 Blue Shark Solution also offers to hire dedicated ajax developer as well as ajax programmer. Contact us to be our offshore partner, and we will provide you free quote for your ajax development and ajax programming requirements at info@bluesharksolution.com.